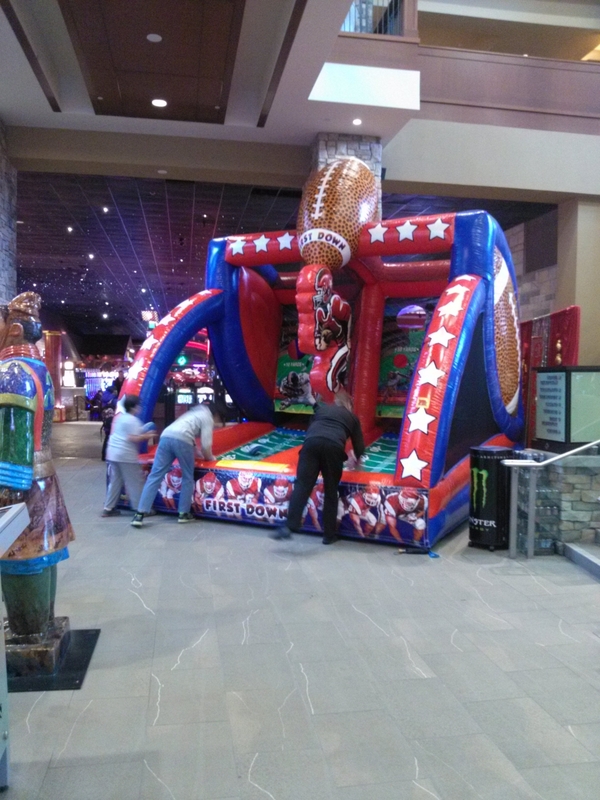 This fast paced game of frantic football passing is sure to be a hit at your next event! 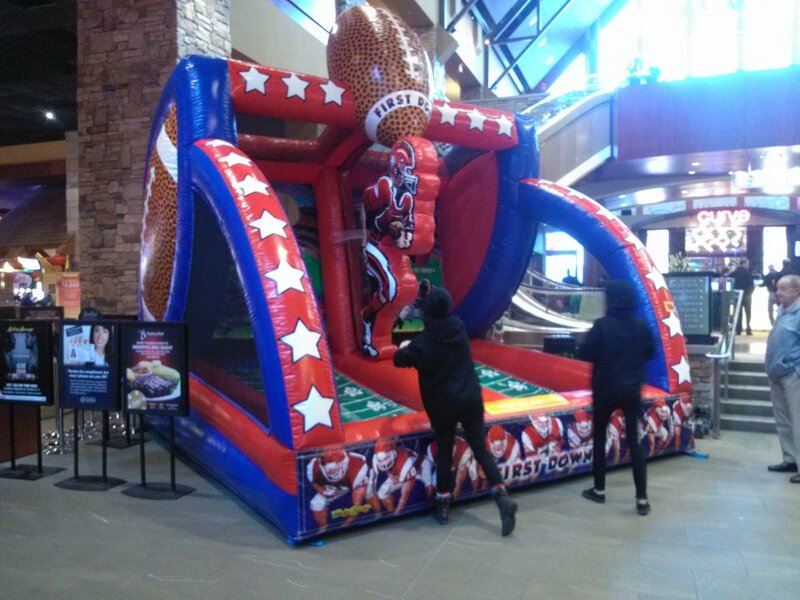 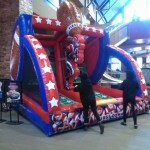 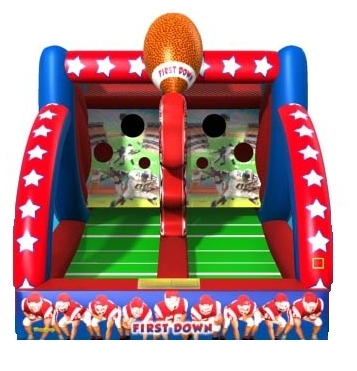 First Down Football Game is the perfect addition to your Superbowl Party or sports themed event. 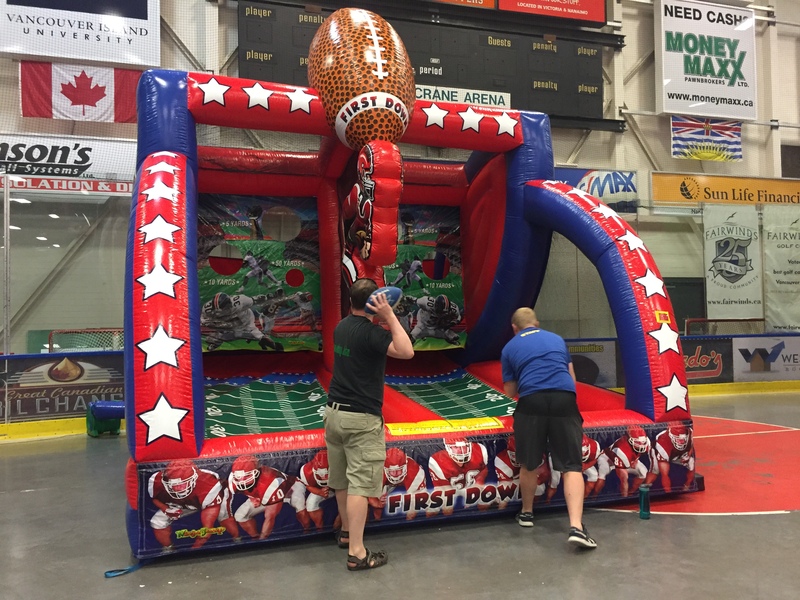 Two players at a time start with 3 footballs on their side of the game. 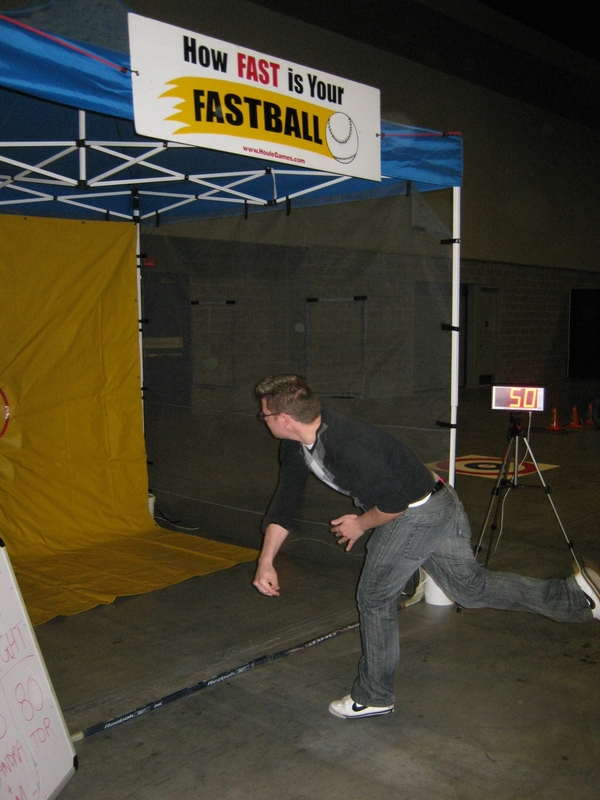 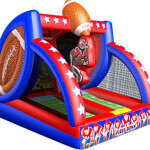 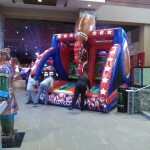 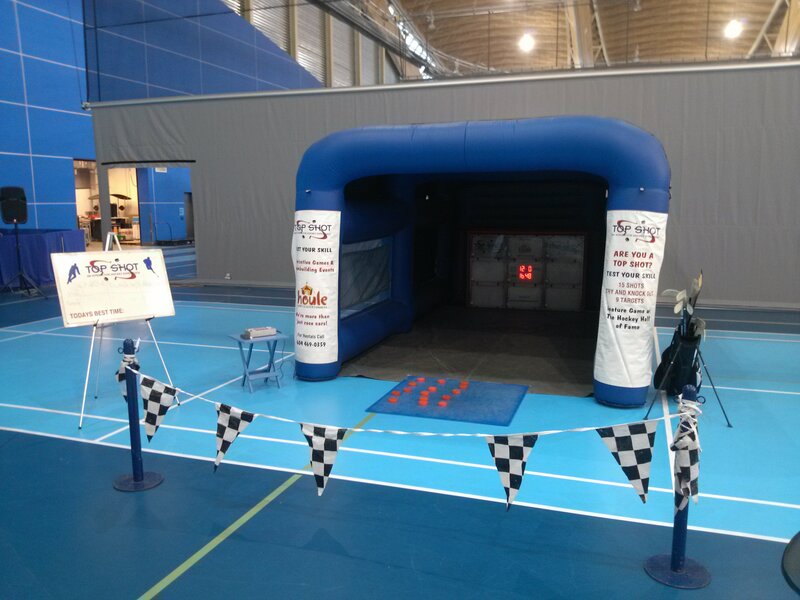 Both players will throw their footballs as fast as they can through the holes of the inflatable unit. 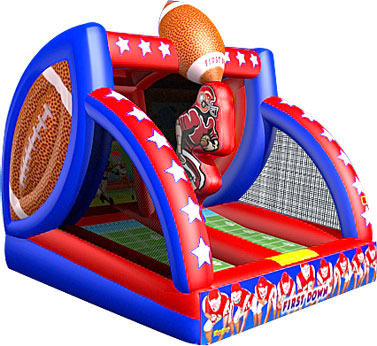 Once a player throws one of their footballs through a hole, that football will roll onto the other players side, adding to the amount of footballs that they are trying to get rid of. 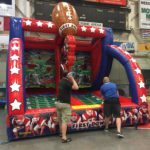 The first player to get all of their footballs through the holes and off of their side is the winner!